Happiness is Cross Stitching : My creations in 2013. Hi everyone, here are the photos of the things I have made in 2013, I hope you like them! 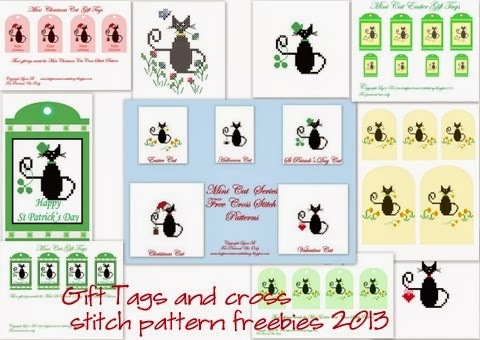 Here is a selection of the gift tags and cross stitch patterns I made for the mini cat selection, I am hoping to design more cross stitch designs for the mini cat series this year. 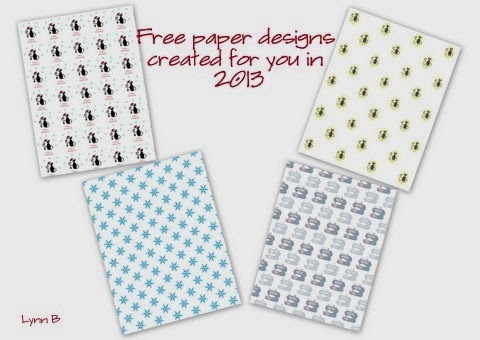 I also played around with Photoshop Elements to make these paper designs, they are all available for free, if anyone would like a copy just email me. 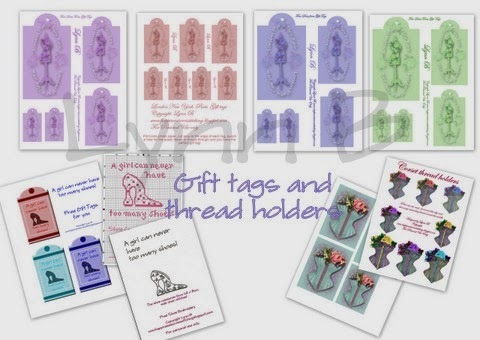 I really enjoyed making these dress form gift tags and thread holders together with the 'too many shoes' cross stitch pattern and embroidery, you should find all of these in my free patterns page by clicking on the tab at the top of my blog. 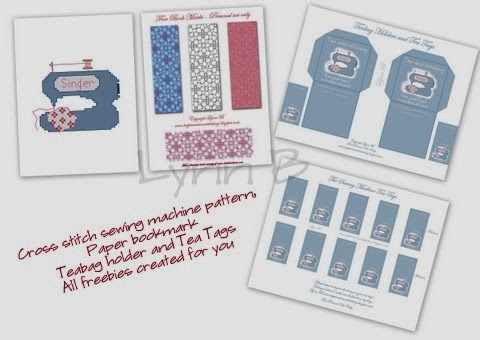 Sewing machine cross stitch, lace bookmarks and teabag holders and tea tags, all freebies! Labels: Pictures of my 2013 finishes. Beautiful work this last year, Happy New Year to you and all. I like it a lot. They are beautiful. Happy new year. You are a very crafty lady. I always enjoy visiting your blog. A fabulous collection Lynn. Heres to a New Year of more lovely designs. Wow, so many beautiful creations! I really love the mini cat and your mug rugs. Thank you for sharing your work...it's very inspiring. Me ha gustado mucho todo, tienes unos trabajos preciosos!!! You do such very fine work my friend. May God richly bless you in this new year. Beautiful work Lynn Ishall look forward to seeing what you stitch in 2014. You created so many beautiful things, this year! You've also inspired so many of us, too! Thank you for sharing your talents/tutorials with us! Happy New Year! I'm new to your blog am just amazed at your lovely work. Very many lovely things! Happy New Year. 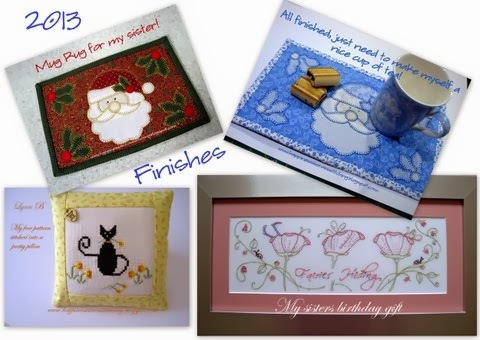 What a great year of stitching! Happy New Year! You created so much beauty in 2013 ... cannot imagine what you'll come up with this year! All the best. Gorgeous finishes and Santa Village look great. You've been super busy and it's been really lovely following your updates. Happy New Year and all the best for 2014! You had a very productive year. Lots of lovely creations. You were a busy, busy lady! Love all of your things!